Our full day to Qeswachaka Inca Rope Bridge is for those wanting to explore a place that is not so crowded or out of the ordinary from other tours. This tour will take you towards the south valley of Cusco. 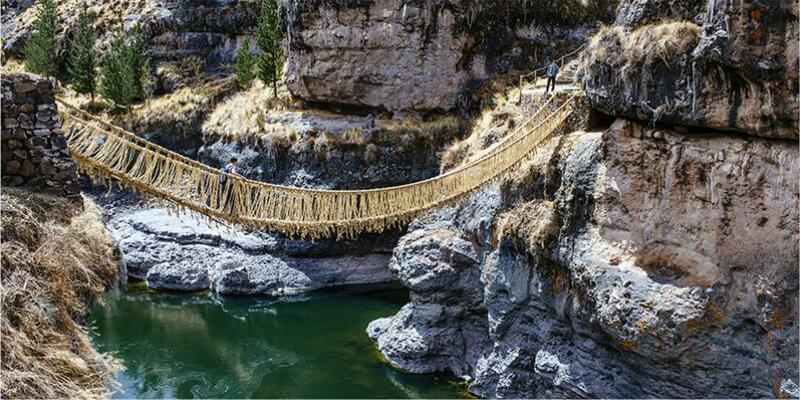 The location of this bridge was part of a network belonging to the Inca Trail. It is a considered a modern day relic as the communities (about 1,000 resident or so) that live near the bridge maintain it annually every June. 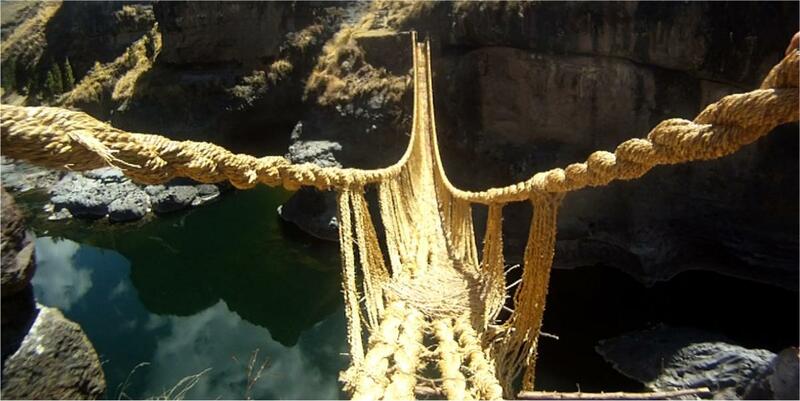 The material the bridge is made with is Puna straw (better known as ichu grass). Why not try something new and explore the other wonders Cusco has to offer. Our day will begin with hotel pickup at 4am or 5am in the morning, we will drive towards the province of Acomayo. Once there, we will drive around the 4 different lakes and visit each one. The lakes are: Pomacanchi, Acopia, Asnaqocha, and Pampamarca. You will able available to observe the local flora and fauna of each lake. After we visit theses lakes, we will continue towards the province of Canas. 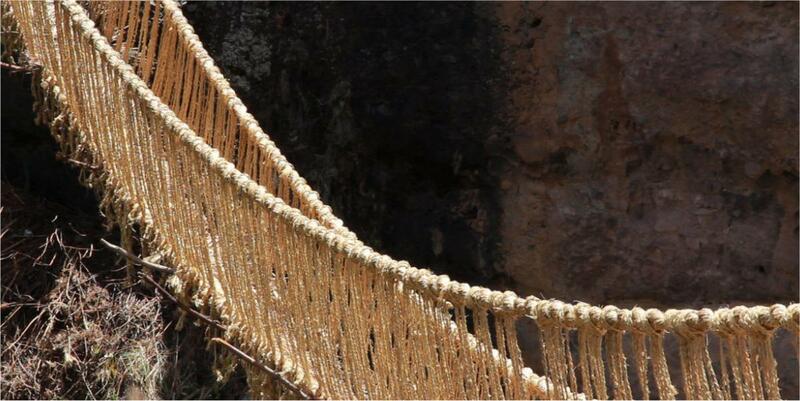 This is the stop to visit the famous Inca rope bridge, Qeswachaka (3,700m/12,139ft). The bridge itself is 33 meters long and1.20 meters wide. Every June, the local communities work together to rebuild this bridge by hand using the local ichu grass. 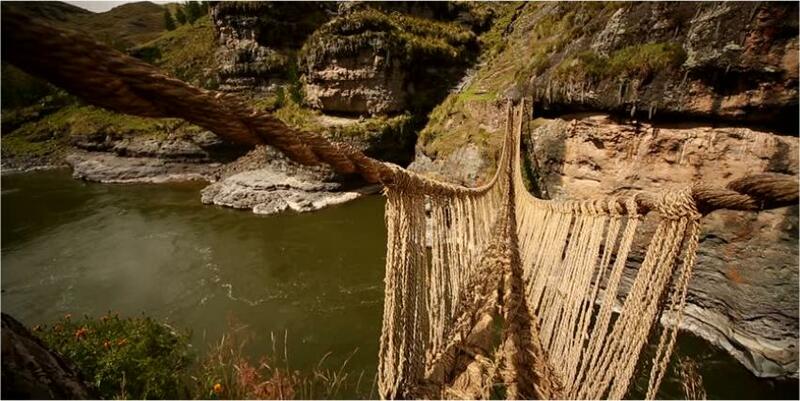 You will get the amazing opportunity to cross this bridge and take pictures. It is quite an unforgettable experience! Once we are done with this tour, we will head back to Cusco and drop you off at your hotel.